When you’re at the forefront of ingenuity, you get noticed. That’s why it’s no surprise the Latitude 13 7000 Series was honored at the CES 2016 Innovation Awards. The winning streak continues. Travel light and turn heads: The smallest business-class laptop in the world is incredibly thin and light so it’s easy to carry with you comfortably. Get down to business anywhere duty calls with a slender and sophisticated PC that stays cool to the touch. Made for gorgeous viewing: Magnify your experience with a breathtaking InfinityEdge display that virtually eliminates borders. Choose a Full HD (1920x1080) anti-glare screen and see for yourself how cleverly we fit a 13.3-inch screen into the frame of a 12-inch laptop. The body of the Latitude 13 is crafted with layers of aerospace-grade carbon fiber and features an aluminum or optional carbon fiber LCD back for incredible durability. Plus, our commercial keyboards and touchpads are built to ISO standards to ensure maximum longevity and comfortable use. Impressively efficient: Work at the speed of business with the latest 6th Gen Intel® Core M™ processors with Intel VPro and Pro WiDi 6.0. Leading-edge connectivity: Thunderbolt™ 3 multi-use port allows you to charge your laptop, connect to multiple devices (including Dell's new cable docking solutions) and enjoy data transfers up to 40Gbps, 8 times that of a USB 3.0. Wireless technology: The new Latitude 13 is the first to use optional 4-antenna technology that fully enables WWAN – providing the most dependability and flexibility in communications. Powered up longer: Count on excellent standard battery life, plus even more power to carry you through every meeting with the optional Dell Power Companion. Only Dell provides a way to process and store authentication data on a separate security processor with Dell ControlVault. Plus, Dell Data Protection provides endpoint security solutions that include encryption, authentication and threat protection. 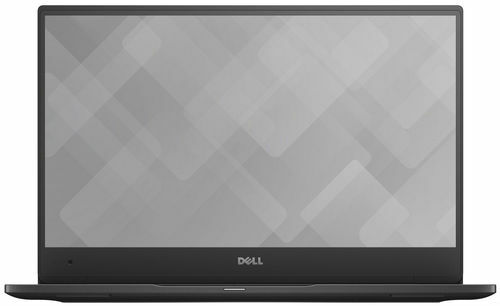 The world's most manageable laptop is built to allow flexible and automated BIOS and system configurations through Dell Client Command Suite’s free tools. We make it easy to deploy, monitor and update your Latitude fleet. Latitude 13 features an incredibly strong, built-to-last chassis that has undergone extensive military-grade MIL-STD 810G testing to ensure your system can withstand real-world conditions.